Alumnus Fr. Francis J. Peffley will deliver a talk for the Catholic Business Network of Northern Virginia on Tuesday, April 9, beginning at 4:30 p.m. Titled, “10 Ways to Grow Closer to God,” the talk will be held in Ashburn, Virginia. Fr. Peffley earned his B.A. in theology from Christendom in 1986 before continuing his studies at Mount St. Mary’s Seminary, where he received his priestly formation and his Master of Divinity and Master of Arts Degrees. In addition to his priestly duties as parochial vicar for Saint Mary of Sorrows Church in Fairfax, Virginia, Fr. Peffley is active with parish young adult ministry, retreat work and pilgrimages, Catholic apologetics, and evangelization. He serves as Spiritual Director of the Arlington Regia. For the past twenty years, he has also been a chaplain of the Knights of Columbus councils in each parish he has served. Fr. 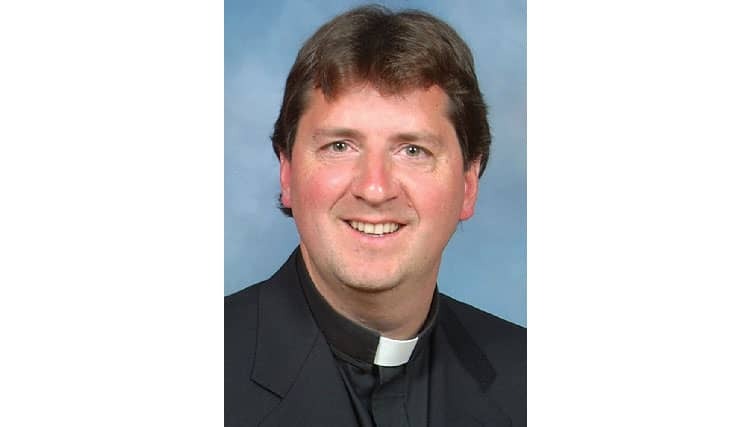 Peffley has written numerous articles which have appeared in a variety of publications including recent books, Inside the Legion of Mary and The Priest and the Legion of Mary, along with Homiletic and Pastoral Review, Queen of All Hearts Magazine, Maria Legionis magazine, Lay Witness, and the Arlington Catholic Herald. He has recorded over two hundred audio CDs on Spirituality, the Saints, Apologetics, Evangelization and the Family. His Sunday and weekday homilies and retreat talks appear online and are listened to worldwide. The talk will be held at the Re/Max Premier, 44675 Cape Court #110, Ashburn, Virginia. Members of the Catholic Business Network can purchase tickets for $20, while non-members can do the same for $25.